Flooding and water leaking into your home can cause extensive damage and dangerous health risks if not dealt with immediately. Our experienced emergency restoration technicians are available to you 24 hours a day, arriving within two to four hours to handle flooding in your home. 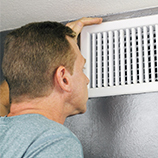 One of our certified technicians will respond no matter the time to evaluate the damage and create a quick and lasting solution to the problem. Certified by the Institute of Inspection Cleaning and Restoration (IICRC), our water damage restoration company ensures that every inspection is complete and thorough. We make sure you are aware of every problem so there are no surprises during the restoration process. Keep in mind that not all water problems will result in a complete demolition and rebuild – sometimes we simply need to dry the affected area as quickly as possible. We take every step we can to fix the problem while being as unintrusive as possible. However, if repairs are needed, we have craftsmen who can handle job at competitive pricing. We’ve been helping people with their water damage disasters for the past 30 years. Our experienced personnel at All Clear works with you to create the best solution for your water damage problems. We promise reliable service customized to your circumstances in the Independence, Parson and Joplin areas. 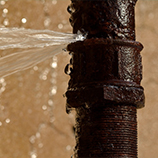 From rain runoff to pipe breaks, we handle it all. Running and sitting water can cause extensive damage, especially to the interior of your home or business. Call us for help. We are available 24 hours a day. Expected arrival 2 to 4 hrs from your first call.